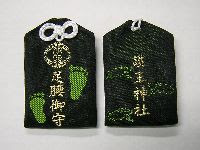 With the ageing society, these amulets have become more frequent and many temples and shrines sell them now. An interesting version is the "footprints of Buddha", where you can step into his footprints to heal yourself.
. Buddha's Footprints ー　Bussokuseki 仏足石 . The wild boars came to help the samurai Wake no Kiyo Maro 和気清麻呂, when he was banned from Kyoto and on his way to exile in Kyushu. A group of assassins tried to kill him, and he fell and hurt his leg, But the wild boars helped him. 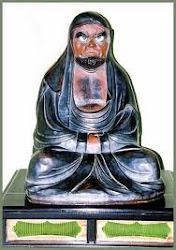 enshrines Lord Wake no Kiyomaro, who, in the year 769, blocked the scheme of Yuge no Dokyo, an evil Buddhist priest, to usurp the imperial throne. But Dokyo exiled Lord Kiyomaro to the present-day Kagoshima Prefecture, and on the way ambushed him and wounded him in the leg. 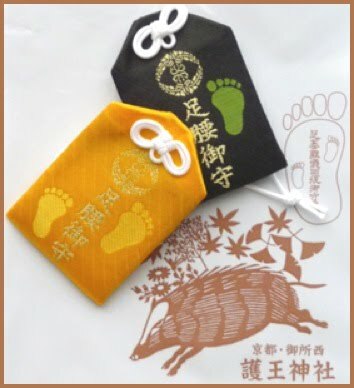 Kiyomaro made his way to the present Oita Prefecture, where nearly 300 wild boars protected him from his pursuers and escorted him to Usa Hachiman Shrine, where his injuries were miraculously cured. To this day the Goo Shrine is visited by sufferers of leg and foot injuries, who believe the visit will relieve their injuries. The shrine, across the street from the Imperial Palace grounds, displays numerous boar images, and a stone block bearing footprints which are said to heal injuries.
. Fujishiro Jinja 藤白神社 Fujishiro shrine . 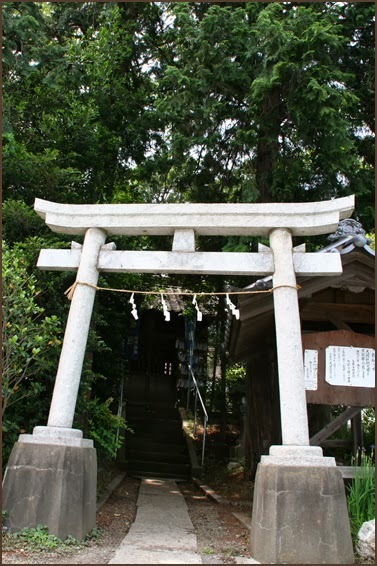 The first shrine on the main road to Kumano in Wakayama . . . from here the pilgrim needs strong legs ! 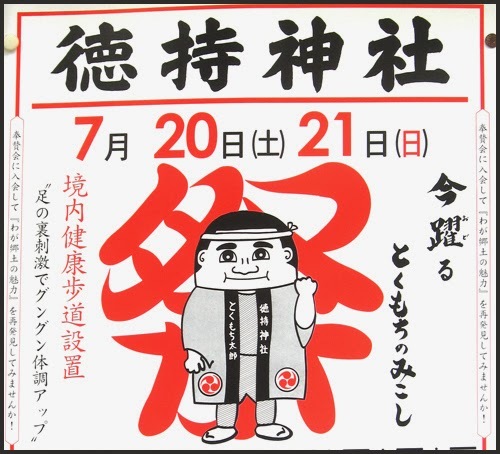 Enju-ji’s Nichika-do enshrines Saint Nichika, known as the ‘God of Strong Legs'. Legend has it that Saint Nichika walked for three days and three nights from Kanazawa, Yokohama, to the head temple of Nichiren Buddhism on Mt. 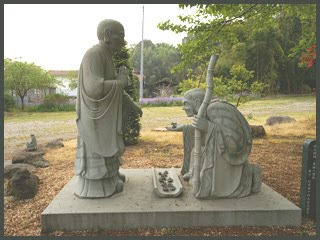 Minobu in Yamanashi, carrying statues of two kongo rikishi guardians (also known as Nio). 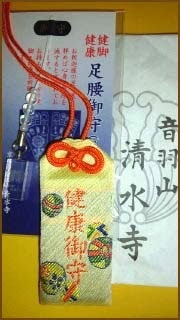 The temple was founded around 350 years ago, in the time of the fourth shogun, Tokugawa Ietsuna. 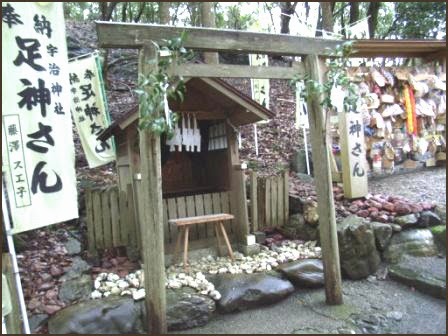 In the shrine you can see wooden ema plaques with traditional footwear fixed to them, and it’s not hard to imagine how important kenkyaku (strong legs) must have been in times when travel on foot was the norm. 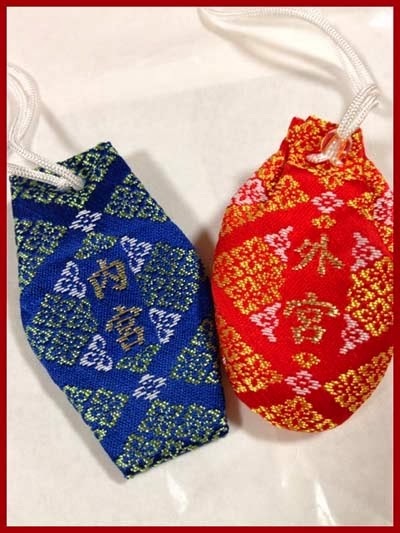 The charms, which say ‘Kenkyaku Omamori’, come in red, purple and green, and cost 1,500 yen. 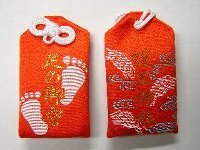 After you’ve successfully completed your race, you can take the omamori back to the temple and have them put it on a ritual fire in the takiage ceremony.
. 深川不動堂 Fukagawa Fudo Hall . 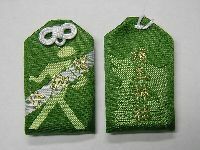 CLICK for more waraji straw sandal amulets. 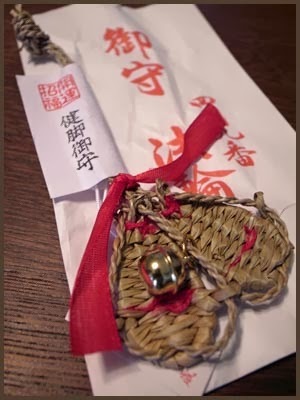 They used a lot of waraji amulets.
. ashigamisan 足神さん Ashi no Kamisama - Uji Jinja 宇治神社 . In the North-eastern (unauspicious) direction, to protect Matsumoto castle. It used to be simply called "Anraku-Ji", but during the Edo period, the lord of the castle built a kind of local university (gakumonjo 学問所) in the temple compound. In 1922 it was named as Great Anraku-Ji. 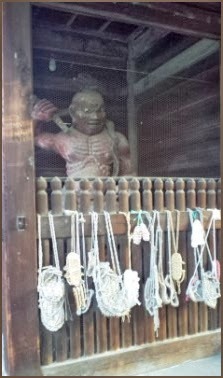 At the entrance gate, 山門, people hung their straw sandals, to warm the bare feet of the deity Nio-O in the gate.
. Daikoku Ten 大黒天 Mahakala .
. Hakusan Guu Ashioo Sha 白山宮足王社 Hakusan shrine and Ashi-O Shrine .
. Hirai Jinja 飛来神社 . 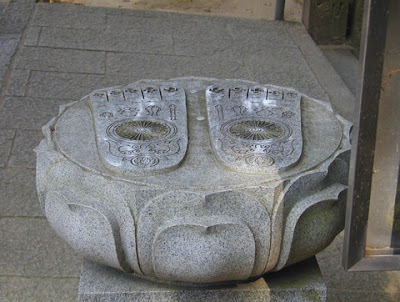 there is a stone Buddha, also called shiobotoke 潮ボトケ "Tidal Buddha" or nurebotoke ぬれボトケ "Wet Buddha". The old cook of the temple drying shiitake.
. WKD : shiitake 椎茸 Pasania mushroom .
. Health Amulet 健康御守 kenkoo omamori .